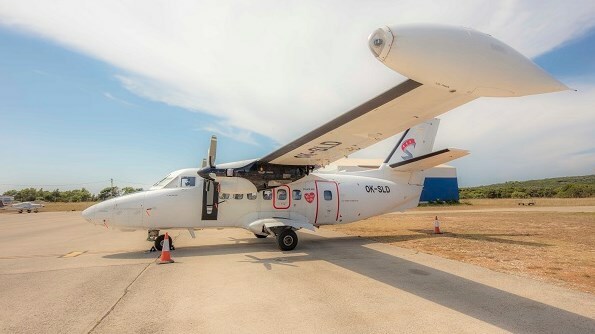 Lošinj has never been closer to our guests and can be reached quickly by plane. 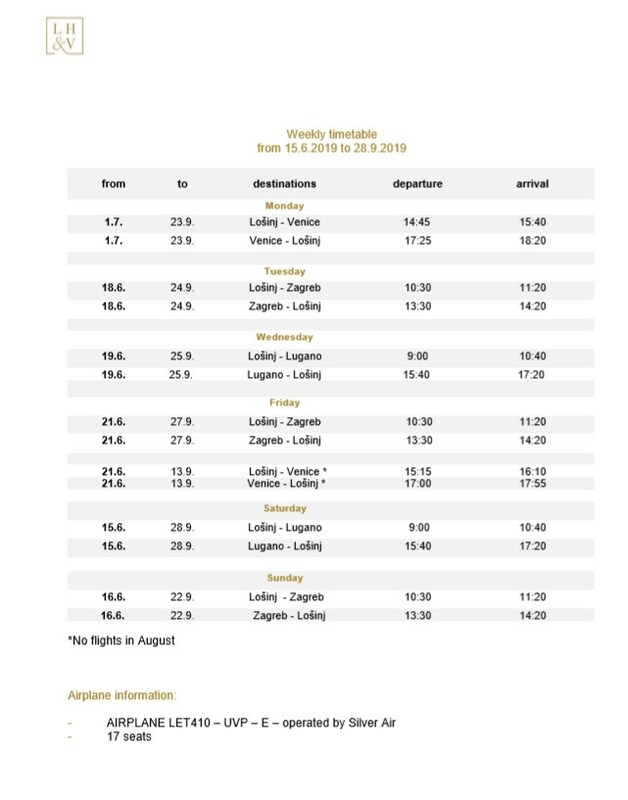 Lošinj Hotels & Villas announces new scheduled flights from Zagreb, Venice or Lugano to Lošinj in the period from 15.6. till 28.9.2019. With this service we also offer our guests an optional transfer service from the airport directly to the hotel or villa, and on departure transportation to the airport. No matter when you choose to visit Lošinj, with your first step on the island, you will be able to inhale fragrances of more than 1000 aromatic and healing herbs and feel the energy of this very special place. When coming back home, you will feel reborn. Therefore, welcome to Lošinj – island of vitality.